There are brands with a long history of quality products. This time we'll present one of the Canada's finest in the baking industry – Voortman Bakery. 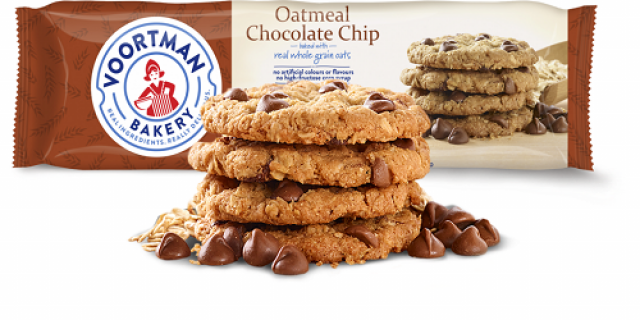 Voortman Bakery was founded in 1951 as Voortman Cookies by two Dutch brothers, William and Harry Voortman. Since the opening of the bakery, they have become one of Canada's household names. You may wonder, what's their secret? Well it just might be in real ingredients, as they state, simple real ingredients are what make their biscuits so remarkably delicious, including oats, coconut, almonds, strawberries, raspberries and lemon. Voortman brand biscuits are sold in supermarkets across Canada, the United States, Puerto Rico, and over 70 other countries worldwide. Let's take a look at their cookie range and see what they actually offer. Cookies, or biscuits, in Voortman Bakery have a special place with classics and new modern types of flavour. Among these are Almond Crunch, Almond Delight, Chocolate Chip, Coconut, Coconut Dark Chocolate, Fudge Striped Almonette, Fudge Striped Oatmeal, Iced Almonette, Lemon Coconut, Oatmeal, Oatmeal Chocolate Chip, Oatmeal Raisin, Simply Social and Windmill. Those are quite a few types of biscuits for one company. Aside from cookies, Voortman Bakery offer a wide selection of wafers and you can see them right here on their website. Other delicious products from Voortman Bakery are turnovers, baked with real fruit, no artificial colours or flavours and no high-fructose corn syrup. Turnovers range from apple and blueberry to raspberry and lemon. Scrumptious, right? There is definitely a product for everyone's taste. Additional cookies include the ones without added sugar such as traditional chocolate chip cookies. Bakery practices perfectionist standard when it comes to food safety, and among others their awards include Sial D'Or and HACCP Certified for Safety. And if numbers speak for themselves, in 2016, Voortman's sales were just over 103.9 million dollars. 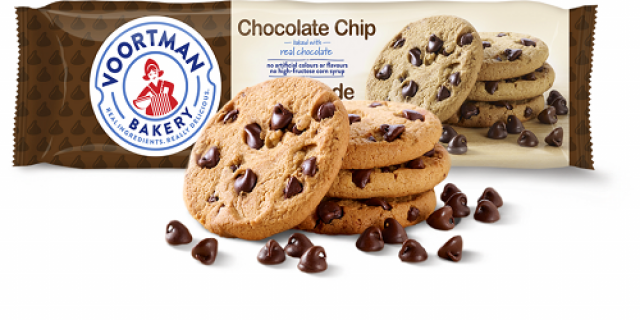 In 2004, Voortman Cookies became the first Canadian food company to abolish the use of trans-fats in their cookies. This makes a great advantage for Voortman's cookies. Voortman is well out in front of a trend that’s affecting the treats category across the board. As a health-conscious public applies growing pressure on the big brands to examine their ingredient lists, Voortman will look good for already having one that’s free of artificial stuff. Just this year, Voortman Bakery had a grand brand re-imagining with more focused marketing, new name and recipes, and packaging which is one of the most important things when buying foods. Douglas MacFarlane, CEO of Voortman Bakery took a look back at the new steps for the company. Voortman Bakery has its own retail store located in Burlington, Ontario, and this is also the place where all of their cookies are made – if you're ever in the area, be sure to visit it and take a break with these lovely sweet treats.